Too less time, too many decisions to be made, no time to input an extensive formula. Just enter two values and Margin Calculator will instantly populate the rest. Want to quickly determine the selling price with a particular cost and a set margin percentage? 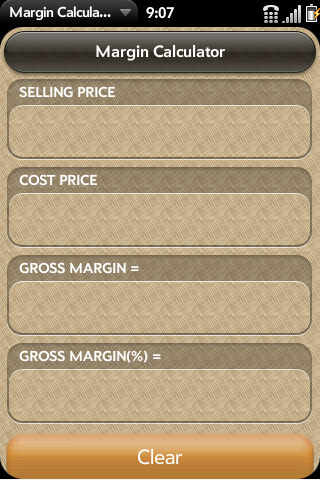 Simply enter the cost and margin percentage to instantly calculate both selling price and gross margin. Similarly you can input any two fields and the rest two will be calculated automatically. 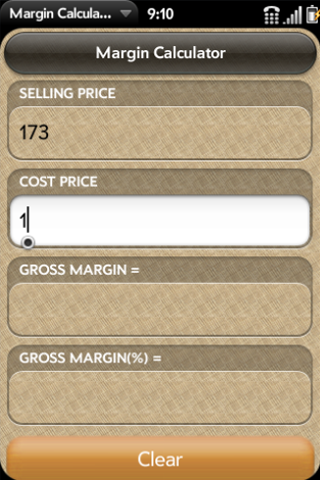 No need to specify particular formula, Margin Calculator is smart enough to determine it from your inputs. 2. Fields works as both input and output.